Tops make a great desktop accessory and this Marfione Custom model sports the handcrafted details that collectors are looking for. 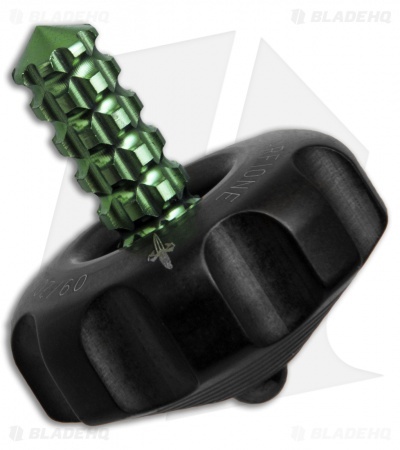 Titanium construction ensures strength, durability, and a lightweight design. 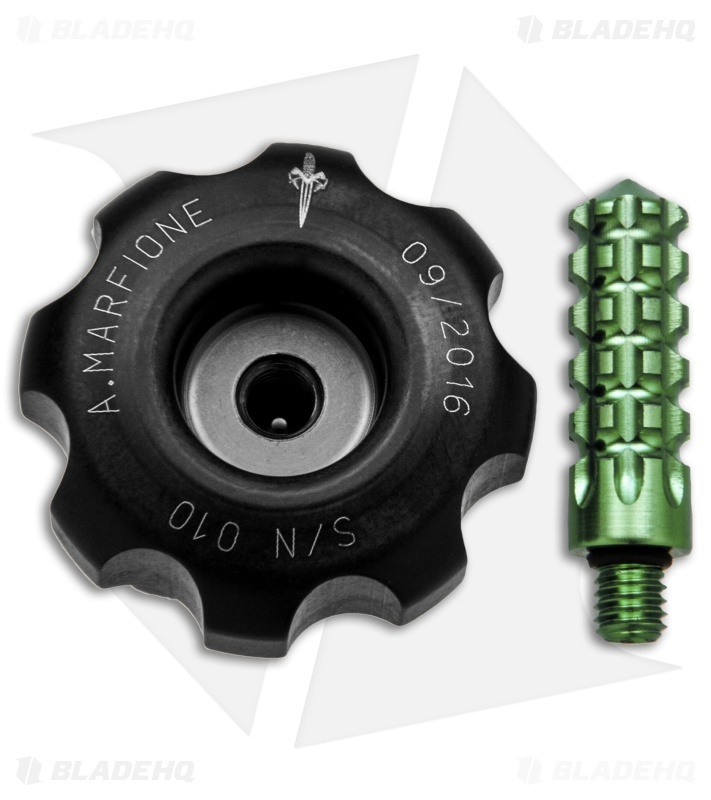 The removable shaft has a grippy knurled texture and can be swapped out with other Spin Top models for a customized look. Item is marked with the production date, serial number and the Marfione dagger logo. 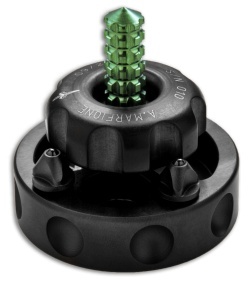 This Spin Top model has a green anodized shaft with a black DLC coated top, and includes a spin plate base. 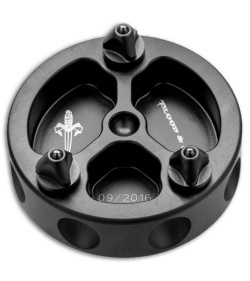 The top can be spun on the top of the plate or stood up for display on the bottom. Carbide ball tip provides smooth spinning action. Titanium construction ensures a strong, lightweight design that will stand the test of time. Removable handle shaft can be swapped out with other Spin Top models or unscrewed for storage.